Calling all students! If you’d like to begin or complete your diploma, bachelor or post bachelor degree in Melbourne, AA Education Network is here to help. AA Education Network can assist you with selecting the right degree and university, and guarantee our assistance with all aspects of the application process. From providing advice to sending the completed application form away for you, AA Education Network will act as a liaison between you and your chosen university. We will handle any circumstances that arise on your behalf and, as a registered educational agent, your application form will be fast tracked. Our services are provided free of charge. As well as receiving assistance from someone with years of educational expertise, you are also saving on the cost of international postage, phone calls and faxes. But our services don’t end there. AA Education Network can also help you with the other aspects of your trip. We provide advice on financial aid, visa applications, health and travel insurance and pre departure information. AA Education Network can also provide guidance and advice with accommodation and where possible, put you up in temporary Study Australia housing. If you’re considering studying in Melbourne, you’ve got nothing to lose by contacting AA Education Network today. Understandably, Melbourne is a very popular destination choice for many international students. For more information, speak to our Education Agents about your study needs. Melbourne is one of Australia’s most sophisticated, cosmopolitan cities, offering myriad cultural avenues and some of the best shopping in Australia. The cities two largest universities are ranked amongst the best in the world and the 2008 Global University City Index ranked Melbourne fourth in a list of the best universities cities in the world. If you’re seeking a world class education in a thriving metropolitan city, Melbourne is the place for you. AA Education Network provides a wide range of services for studies looking to transfer their studies to an international university. If you want to begin or continue your education in Melboure, AA Education Network can provide advice and support before, during and after your stay. They will supply you with all the necessary information and guide you on choosing a course, give you information on English language tests, help with your application form (this includes translations, organising certified copies of documents and submission) and provide ongoing supoprt once your application has been submited. Once you’ve been offered a place, AA Education Network can help you with student visas, provide information about flights to Australia, accommodation, travel insurance and details about living in Australia, such as opening a bank account, getting your student ID and applying for students discounts. They’ll also answer any Australia related questions you have, such as; What is the climate like? What recreational activities are available? Can I bring my pet? How do I handle communication problems? Will I experience culture shock? During your stay, you can e-mail your team member at any time for useful and confidential assistance with any issue. AA Education Network has already helped thousands of travellers find a place in schools, universities, vocational training, internships and au pair/demi programmes. Their wide ranging experience is offered to you at no cost. Contact AA Education Network today. With a population of around 4 million, Melbourne is unique in its sparse urban environment, lush surroundings and cosmopolitan culture. Positioned by the Yarra River the Southbank promenade is famous for its multitude of cafes, restaurants, arts and recreational venues. People from many different backgrounds contribute to Melbourne’s unique and vibrant multicultural flavour. Universities in Melbourne are highly regarded around the world and attract a large number of international students each year. The largest of these are the University of Melbourne and Monash University, both ranked among the top 40 universities in the world. Melbourne also boasts excellent vocational training facilities in various fields including but certainly not limited to media, business and hospitality. The Victorian College of the Arts, SAE and JMC Academy are but a few of the many schools specialising in music, fine arts and design training. RMIT, Swinbourne and LaTrobe universities are well known for their quality of education in fields as broad as journalism, medicine, engineering and agriculture. Twice ranked World’s Most Liveable City, Melbourne is the perfect place for those who seek a cheerful, modern and relaxed setting in which to pursue their higher education. Melbourne offers with five universities and 13 TAFE's a lot of opportunities to study or to study further. The courses at the TAFE's are becoming ever more popular, which is on the one hand because of the fact, that the courses for Australians are nationally promoted. The advantage is on the other hand a stronger practice purchase and a shorter and more flexible study time. This is the point, which might particularly be interesting for all non-Australians. Who doesn't has any map of Melbourne, should go to one of the Visitor Centres and get one of the free Melbourne maps. The way to the Visitor Centre becomes easier if you take the free City Circle Tram, which operates every 12 minutes. Successful completion of a degree at Holmesglen provides the graduate with excellent employment and career opportunities, professional recognition, and the eligibility to apply to the relevant assessing authority for the purposes of Australia’s General Skilled Migration Program in a wide range of 50 and 60 point occupations. Students successfully completing a degree at Holmesglen Institute greatly enhance their employment opportunities due to the incorporation of a vocational qualification, in most cases a Diploma or Advanced Diploma, within their degree program. I had always wanted to write stories. The thrill of being published – of actually getting my stories out there for others to read – became my ambition. I live in Melbourne, the capital city of Victoria. Often I would take a train into the heart of the city and wander the gardens, the places of special interest like Southbank with its many restaurants beside the Yarra River, the State Library with its Domed Reading Room, the Immigration Museum and the shopping areas, and I would write, usually stories, sometimes my opinion about things happening in the world. There is always a seat in Melbourne, and when the sun shines and millions of people pass through the city I become inspired. Melbourne is also a city of universities and I decided to utilize their resources to learn to become a better writer. The most prominent and popular writing course in Australia is the Diploma of Professional Writing and Editing. This is a demanding two-year full-time course taught at many institutions, with RMIT University being the most prestigious. It is a difficult to get into with many published writers also undertaking it. I did this course and it proved to be the basis for much improved writing. The next step in learning to write was Post Graduate studies. I successfully completed a Post Graduate Diploma in Creative Writing at Melbourne University, then enrolled in a Master of Creative Writing at Melbourne and a Master of Creative Media (Creative Writing) at RMIT University. I was thrilled, and felt privileged to do these two courses, the two best in Melbourne (for writers). Where the Melbourne University course excels in teaching writing skills, with many visits from guest writers and many workshops, all taught in luxurious, almost forested surroundings with the best resources in the world, the RMIT course is noted for its contacts with industry. At RMIT the study of writing is about inspiration as much as anything else. Stories of success abound and become the starting point for most classes, while staff will often suggest where students can send their work. Hundreds of students have had books published while still completing these courses, including at the diploma level. I highly recommend Melbourne for all aspiring authors. Not only are the writing courses excellent, but the Victorian Writer’s Centre, the International Writer’s Festival, and the Emerging Writer’s Festival are all centred in Melbourne, the City of the Arts. Come, be inspired and start your career as a writer. The aim of this website is to offer the most up-to-date information about studying at Melbourne International Colleges. Located in one of Australia's most popular study locations - Melbourne Colleges are the place where students can fulfil their dream of travelling and studying abroad. Here you will find information about the Melbourne Colleges, as well as information about our services and useful information for all students travelling on a student visa. If you would like any further information please contact our education agency to assist you. Tertiary and Further Education colleges (TAFE) are colleges found throughout Australia, where you can gain qualifications in a particular course and to get you employment within the industry or trade you desire. There is a large variety of TAFE courses available for offer, from learning English at any one of the ELICOS approved TAFE colleges, or studying a Diploma of Information Technology at RMIT, every student will receive first-class internationally recognized qualifications that will help you start your career. TAFE institutions are located all over the Melbourne suburbs, and provide a clean, safe, environment, with a full range of facilities to assist students with their studies. Course length varies from 4 weeks to 4 years duration, depending on the course in which you have enrolled. Courses are divided into units of competency which combines to add to your final grade. As study commences, the work submitted is graded by the courses lecturer. These grades contribute towards your final grade and qualification. Grades will be given to students after the lecturer has marked the assignments, practical tests, and other skills test that the course has to offer. Which course mode you choose depends on how much time you wish to study each week Students may only have enough time to participate in a part time course instead of a full time course, or may have already have employment but wish to gain further qualifications and skills in that industry or trade. Courses vary from face-to-face class room courses, which you can discuss your studies with a fully qualified lecturer, to online courses where attendance is not compulsory. Apprenticeships and traineeships allow you to work and study at the same time. Look around and choose the best course mode which suits you and your studies. Study areas the different sectors of employment, broken down into categories. Each study area category has courses specifically developed for students to gain the skills and qualifications to find employment in that specific industry or trade. Each campus will have different courses available for offer. Therefore not all study areas are available at every campus. Be sure to choose which course you register for very carefully. This decision is a major turning point in your life. Find a study area which suits your personality and lifestyle. Campuses can be found all over Melbourne’s metropolitan area. Each campus is connected to public transport, buses, trains or trams. Most campuses in the suburban areas have car parks available for students to park their vehicles. Students are requires to wear the appropriate attire for the course they are attending on campus. Each campus provides facilities that the students can use whenever they wish. There are a large number of student services available for the students to get help and support in each campus. Student services vary from each college to college. Feel free to ask the student services staff and questions. You can ask them for help on any issues that may arise. They might even help you with personal issues. All information is considered completely discreet. TAFE offers a wide range of nationally recognized qualifications various, most of which are accredited by the Australian Qualification Framework (AQF). Certificates range from on e to four, and are made to enhance your vocational skills. This is perfect if you wish to change your current career path or to re-enter the workforce. Certificates usually take around 6-18 months or equivalent full-time. Diplomas are widely respected by employers, as the qualification proves to the employer the student has developed high-level practical vocational skills, which you can utilize in your career or to continue with your studies at a University or any other type of education institution. English Language Intensive Course for Overseas Students (or ELICOS) courses have been developed for international students to learn the basic skills of the English language. ELICOS courses teach the four primary areas of the English language, which are reading, writing, speaking and listening. A statement of attainment is a qualification which is given to students who do not complete all of a course which you studied in. This statement includes all units of competency and the qualification gained. AA Education Network is an international student office which processes applications for TAFE throughout Australia. Students receive from us application information. Fees vary from college to college and also depend on which course you decide to enroll. Fees must be paid prior to the commencement of the course. What is an ESL Course? There are many English as a Second Language (ESL) courses available for offer throughout Melbourne. Assessments focus on the four primary learning areas of the English language, which are reading, writing, speaking and listening. ESL courses provide professional English language training to businesses, employees, students, children, and people seeking to permanently reside in Australia. There are a number of examinations with different qualifications in which you can register. Qualifications can vary greatly, from an intermediate level to advanced level and some certificates even specialize in business language, the Business English Certificate (BEC). The BEC has an emphasis on workplace and business communication especially tailored for employees and students wishing to proceed further in their tertiary studies. Business and Accounting - Bachelor of Business (Executive Administration) This three year, full time program was developed by Holmesglen in response to demand from industry for highly skilled professionals in business management and administration. Students successfully completing the Bachelor of Business (Executive Administration) will be eligible to apply for a diverse range of professional 50 point occupations. Bachelor of Business Studies In association with Charles Sturt University (CSU), Holmesglen offers the Bachelor of Business Studies. This program combines an eighteen months Holmesglen Institute Diploma in the students chosen field of study, with the completion of a further 12 subjects from the CSU Bachelor of Business Studies. Successful completion of this 3 – 3.5 year program provides graduates with excellent employment and career opportunities, in a wide range of professional positions. Diploma of Commerce/Bachelor of Commerce In association with Deakin University, Holmesglen offers students successfully completing the Diploma of Commerce at Holmesglen the opportunity to gain entry to the second year of the Bachelor of Commerce at Deakin University. Students may choose from a wide range of specialisations, enabling them to apply for many professional occupations currently listed on the Skilled Occupation List. Students completing the Accounting major of Deakin’s Bachelor of Commerce will be eligible to apply for CPA Australia, NIA and ICAA recognition. Bachelor of Business (Accounting) Holmesglen’s Bachelor of Business (Accounting) has been developed for students seeking a more practical and employment-focussed qualification in the accounting field. Graduates of this three year full-time program will have outstanding employment and career opportunities in a wide range of services and industries, and be eligible to apply for CPA Australia and NIA recognition. Skilled Migration Internship Program - Accounting The Skilled Migration Internship Program - Accounting (SMIPA) is a professional year program approved by the Department of Immigration and Citizenship (DIAC). It is available for students who have obtained an Australian accounting qualification as a result of at least two years study in Australia and hold a 485 Graduate visa. The 44 week program includes practical work experience to further enhance professional and workplace skills, and aims to assist graduates achieve their career goals. Students completing the SMIPA will be eligible to apply for 10 bonus points under the General Skilled Migration points test. Building & Building Surveying Bachelor of Applied Science (Built Environment) / Bachelor of Construction Management and Economics Holmesglen’s Bachelor of Applied Science (Built Environment) is designed specifically for students seeking a professional career in the building and construction industry. The Bachelor of Applied Science (Built Environment) together with the Bachelor of Construction Management and Economics provides students with indepth specialist studies in building surveying. Students successfully completing the Bachelor of Applied Science (Built Environment) and the Bachelor of Construction Management and Economics will be eligible to apply for recognition by Australian Institute of Quantity Surveyors (AIQS) for the occupation of Quantity Surveyor (MODL) as at 17/05/08. Bachelor of Applied Science (Built Environment) / Bachelor of Property Valuation Holmesglen’s Bachelor of Applied Science (Built Environment) is designed specifically for students seeking a professional career in the building industry. The Bachelor of Applied Science (Built Environment) together with the Bachelor of Property Valuation provides students with indepth specialist studies in property valuation. Students successfully completing the Bachelor of Applied Science (Built Environment) and the Bachelor of Property Valuation will be eligible to apply for skills recognition by VETASSESS for the 50 point occupation of Valuer (Property Valuer). Computing Bachelor of Information Technology and Bachelor of Information Technology (IT Security) with Deakin University. Students successfully completing the Diploma of Information Technology (Networking) or (Software Development) at Holmesglen will be eligible for entry into the Bachelor of Information Technology at Deakin University with 10 credit points advanced standing. Students successfully completing the Advanced Diploma of Information Technology (Network Security) at Holmesglen will be eligible for entry into the Bachelor of Information Technology (IT Security) at Deakin University with 12 credit points advanced standing. Students successfully completing this degree will be eligible to apply for migration in the occupation of 'Computing Professional - specialising in Network Security/Firewall/Internet Security' - (ASCO Code 2231-79) currently listed on the MODL. Graduates of either degree are eligible to apply for recognition by the Australian Computer Society for the occupation of Computing Professional (SOL). Education Bachelor of Early Childhood Education with Deakin University. The Bachelor of Early Childhood Education is intended for students seeking a professional career as pre-primary teachers. Students successfully completing the two-year Associate Degree of Early Childhood Education will be eligible for entry into the Bachelor of Early Childhood Education at Deakin University subject to IELTS 7.0. It will require a further two years of full-time study to complete the Bachelor degree. Graduates of this degree will be eligible to apply for recognition for the occupation of Pre-Primary School Teacher (SOL). Melbourne Courses Graphic Design Bachelor of Graphic Design Students who complete Holmesglen’s Diploma of Arts (Graphic Arts) with the appropriate entry requirements, may apply to La Trobe University and gain entry into the second year of the Bachelor of Graphic Design at the Bendigo campus. Graduates of this degree will be eligible to apply for recognition for the 50 point occupation of Graphic Designer Nursing Certificate IV in Nursing / Bachelor of Nursing Students successfully completing the Certificate IV in Nursing will be eligible to apply for advanced standing into the Bachelor of Nursing course at Holmesglen. Graduates of the Bachelor of Nursing are eligible to apply for recognition by the Australian Nursing and Midwifery Council, for occupation of Registered Nurse (MODL as at 17/05/08). Welfare Diploma of Community Welfare Work This two year course equips students with the skills and knowledge required to provide high quality service in the social and community services area. On successful completion of this program students are eligible to apply for recognition by the Australian Institute of Welfare and Community Workers, for the occupation of Welfare Worker (SOL). Students successfully completing the Diploma of Community Welfare Work at Holmesglen will be eligible for entry into the Bachelor of Social Work at Deakin University with 8 credit points advanced standing, and to apply to the Australian Association of Social Workers for recognition for the occupation of Social Worker (SOL). Dental Technology Diploma of Dental Technology This two year course provides comprehensive training for Dental Technicians in dental technology, construction, denture fabrication and orthodontics. Satisfactory completion of this program meets the qualification requirements for application for recognition by Trades Recognition Australia (TRA) for the occupation of Dental Technician (MODL as at 17/05/08). Trade/Technician Programs Holmesglen offers a diverse range of trade/technician programs, providing comprehensive training in all practical and theoretical aspects of each trade. Each program incorporates the Certificate III qualification required for employment in the relevant industry and provides extensive practical experience over the two year period of study. Bricklaying Certificate III in General Construction (Bricklaying / Blocklaying) / Certificate IV in Building Construction (Building) This course provides comprehensive training in all practical and theoretical aspects of the bricklaying trade. Satisfactory completion of this program meets the qualification requirements for application for recognition by Trades Recognition Australia (TRA) for the occupation of Bricklayer (MODL as at 17/05/08). Cabinet Making and Furniture Finishing Certificate III in Furniture Making (Cabinet Making) / Certificate IV in Furnishing Technology This qualification equips students with the skills to work in a design, planning, engineering or management capacity in all areas of the furnishing industry. Satisfactory completion of this program meets the qualification requirements for application for recognition by Trades Recognition Australia (TRA) for the occupation of Cabinet Maker (MODL as at 17/05/08) and Furniture Finisher (SOL). Engineering and Electronics Diploma of Engineering Technology - Holmesglen offers the Diploma of Engineering Technology, incorporating a choice of the following Certificate III trade specialisations: • Metal Fabrication • Electronics / Mechatronics • Refrigeration & Air-Conditioning • Manufacturing The two year program provides comprehensive training in the selected specialisation and equips students with the skills, knowledge and trade qualification required to work in their nominated occupation in the Engineering industry. Satisfactory completion of this program meets the qualification requirements for application for recognition by Trades Recognition Australia (TRA) for many occupations currently listed on the MODL (as at 06/07) such as Refrigeration & Air Conditioning Mechanic, Welder, Fitter, Sheet Metal Worker, Metal Machinist (First Class), Metal Fabricator (Boilermaker) and the SOL occupation General Electronic Instrument Tradesperson. Fibrous Plastering Certificate III in General Construction (Wall and Ceiling Lining)/Certificate IV in Building and Construction (Building) This course provides comprehensive training in all practical and theoretical aspects of the fibrous plastering trade. Satisfactory completion of this program meets the qualification requirements for application for recognition by Trades Recognition Australia (TRA) for the occupation of Fibrous Plasterer (MODL as at 17/05/08). Solid Plastering Certificate III in General Construction (Solid Plastering)/Certificate IV in Building and Construction (Building) This course provides comprehensive training in all practical and theoretical aspects of the solid plastering trade. Satisfactory completion of this program meets the qualification requirements for application for recognition by Trades Recognition Australia (TRA) for the occupation of Solid Plasterer (MODL as at 17/05/08). Wall and Floor Tiling Certificate III in General Construction (Wall and Floor Tiling)/Certificate IV in Building and Construction (Building) This course provides comprehensive training in all practical and theoretical aspects of the wall and floor tiling trade. Satisfactory completion of this program meets the qualification requirements for application for recognition by Trades Recognition Australia (TRA) for the occupation of Wall and Floor Tiler (MODL as at 17/05/08). Graphic Pre-Press Certificate III in Printing & Graphic Arts (Graphic Pre-Press) / Diploma of Printing & Graphic Arts (Digital Production) This course provides a broad range of skills and knowledge for use in the field of printing and graphic pre-press, and digital production. Successful completion of this program meets the qualification requirements for application for recognition by Trades Recognition Australia (TRA) for the occupation of Graphic Pre-Press Tradesperson (SOL). Hairdressing Certificate III in Hairdressing / Diploma of Hairdressing Salon Management Offered in association with Headmasters Advanced Academy, this two year program provides comprehensive training in all practical and theoretical aspects of hairdressing and salon management. Successful completion of this program meets the qualification requirements for application for recognition by Trades Recognition Australia (TRA) for the occupation of Hairdresser (MODL as at 17/05/08). Horticulture Diploma of Horticulture incorporating the Certificate III in Horticulture (Parks and Gardens) and the Certificate III in Horticulture (Retail/Wholesale Nursery) Holmesglen offers the Diploma of Horticulture which incorporates the Certificate III in Horticulture (Retail/Wholesale Nursery). This two year program provides comprehensive training in all practical and theoretical aspects of the general horticulture industry. Successful completion of this program meets the qualification requirements for application for recognition by Trades Recognition Australia (TRA) for the occupation of Gardener or Nursery Person (SOL). Hospitality - Asian Cookery, Bakery, Commercial Cookery and Patisserie Diploma of Hospitality (Management) Holmesglen offers the Diploma of Hospitality (Management), incorporating a choice of the following Certificate III trade specialisations: • Asian Cookery • Patisserie • Commercial Cookery • Bakery Successful completion of one of these 2 year programs meets the qualification requirements for application for recognition by Trades Recognition Australia (TRA) for the occupation of Cook, Pastry Cook or Baker (all MODL as at 17/05/08). For further information, please contact us. Holmesglen Institute of TAFE CRICOS Provider Code: 00012G Deakin University CRICOS Provider Code: 00113B Charles Sturt University CRICOS Provider Code: 01947G Headmasters Advanced Academy CRICOS Provider Code: 01859G La Trobe University CRICOS Provider Code: 00115M The information contained on this website is of a global nature and is not intended to be, and is not, a complete or definitive statement of information related to Australia’s General Skilled Migration Program. Full information on the General Skilled Migration Program is available on the website of the Department of Immigration and Citizenship. Holmesglen also strongly recommends that interested applicants seek advice from a registered migration agent. Melbourne is a historical, artistic and multicultural lesson in one! A small city compared to many, Melbourne is a place where the hustle and bustle is relatively minor. It is also a friendly place where you can relax and unwind in many of Melbourne's cafes and pubs, or you can party hard at one of Melbourne's many nightspots! In fact, with so much to do, Melbourne vacation ideas can be hard to narrow down. Studying there, however will provide plenty of time to experience all Melbourne has to offer. Well, Melbourne has many Universities and educational facilities to cater your needs whether it is for English lessons, Diploma, Bachelor, Masters, or Doctorate. Believe me when I say that the odds are: what you want to study and the type of degree that you are seeking will be available to you. But the real appeal of studying in Melbourne is the adventure of it. 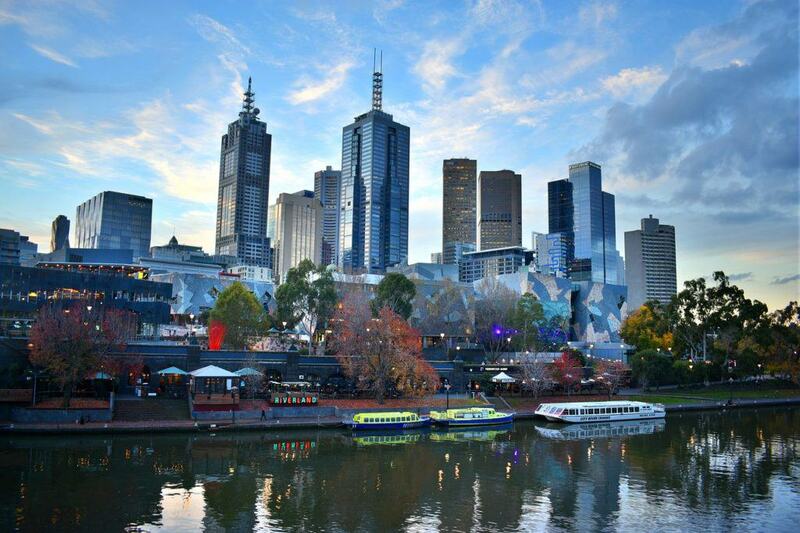 Please click the links below to find out more about what Melbourne has to offer for you! The question really is, in my view, why not study in Melbourne? Besides the excellent schooling facilities, it is also the atmosphere that makes for a great working environment. You know how it is; you want to unwind from a hard day of studying by doing something that does not involve school at all. Sure, each University offers a wide range of extra-curricular activities but let's be honest: There will be times you want to be as far away from your place of learning as possible (I know I certainly did at times!). And let's face it, how can you do an important exam if you aren't in a good state of mind? Melbourne offers many places where you can unwind. Heck, it offers this in spades! With its many cafes and nightspots, you can be sure that Melbourne is also a fun and relaxing place to be while studying here. In the study in Melbourne page along with the usual information of educational facilities, I'm also going to provide information on places to go in Melbourne and how to get there. Melbourne is the state capital of Victoria. As a city, the urban centre (known as the CBD) is rather small, with the surrounding areas mainly housing and shopping strips (known for their fantastic cafes). The city has three modes of public transport (train, tram and bus), but one of the main icons of Melbourne is indeed the tram network. While almost everywhere else the tram networks have been removed, Melbourne has embraced its trams and this is one of the reasons why Melbourne is easy to travel around. Of course, I can't mention Melbourne without mentioning how sports mad Melbournians are. There is AFL football, the Australian open, the Austrlian Grand Prix, and of course the spring racing carnival which consists of 'the race that stops the nation': The Melbourne Cup. Melbourne has also had the honour of hosting the 1956 Olympic games and the 2006 Commonwealth games. I'm putting this page on for a number of reasons. For starters, I am well aware how annoying it can be to get used to a public transport system in another country. When I went to Tokyo in 2005 I knew I would get lost if I didn't have a friend who lived there. Also, I personally find that the information presented both on the transports themselves and on the website (which I'll detail on later) is very lacking, especially for those who are new to Melbourne. I kid you not: I've had a lot of people come up to me to ask how to buy a ticket. I hope this section will also be useful for all students who decide to study in Melbourne in regards to both travelling to and from school and also to travel to other places as well! Melbourne has three modes of public transport: Train, tram and bus. The train system consists of a main 'city loop' in the centre of Melbourne, with all the other train lines extending from there. The tram system is slightly more complicated but all lines end up in the city centre. The bus system is like everywhere alse; there is a starting point and there is an ending point and the bus travels along those lines. Buying a ticket is what confuses most visitors. I will explain here how to avoid the hassles involved with ticketing. All 3 forms of public transport use what's known as a metcard. You can buy 2 hour, daily, weekly, monthy and yearly tickets. There are also some other tickets but these are the ones you will most likely be using. Unlike some other countries, when you buy a ticket, you can use all 3 modes of transport within the time limit on the card. If you want to obtain the cheaper concession rate, you can obtain a student concession card through your place of learning. Otherwise you have to buy the full fare ticket. There are three zones: Zone 1, 2 and 3. There are maps of where each zones are at train station and such, but as a rule of thumb, Zone 1 is the inner city area, zone 2 is the outer city area and zone 3 is the 'outer, outer' city area. Try to find out what zones you are travelling in before buying a ticket. Believe me when I say that the best way to buy tickets is through shops with the blue metcard sign displayed out the front. This is because some train stations and all trams are coin only so you would hate to be caught out without a ticket just because you have no change! With the EXCEPTION of tickets bought from the tram and bus all tickets bought are blank. So if you bought a daily ticket from a store or a train station machine, it won't be in use until you validate it. To validate a ticket simpy put your ticket through a validator (don't worry, you'll know what it is where you are there). I really hope this information is helpful to you! As I add more and more links I'll be writing information with public transport in mind as I'm fairly sure that you'll be using transport. Oh yes and one more thing: don't be afraid to ask for help if you need it when taking the transport!